Please enter your id number. Dynamically Adjusted Motion Prediction Task (DAMP) similar to that described in Ullsperger & Crampon (2003). 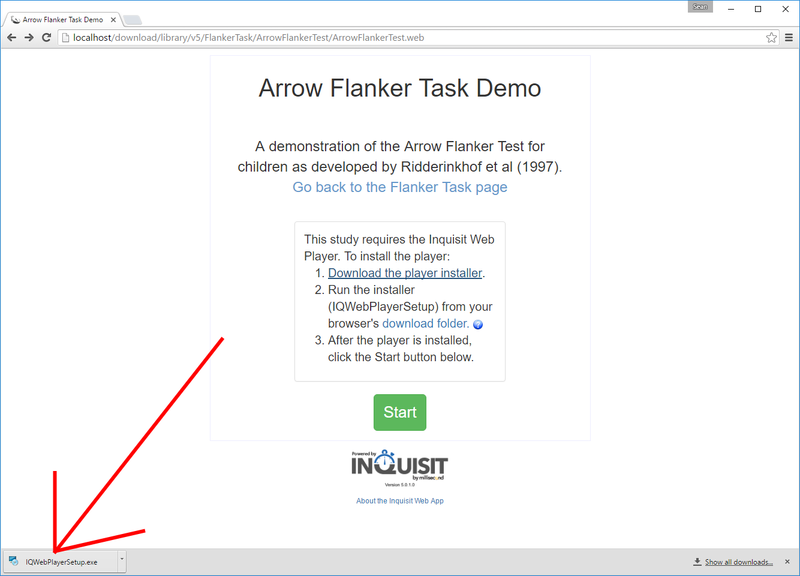 Click the Start button to download the Inquisit.jnlp file. If the Inquisit does not automatically launch, click the Inquisit.jnlp file from your browser's download manager. Run the installer (IQWebPlayerSetup) from your browser's download folder. After the player is installed, click the Start button below. Download the player installer dmg file. Open the installer (Inquisit_Player_50140.dmg) file from your browser's download folder. Drag the "Inquisit Player" application to the Applications folder. After the player is installed, click the Start button. Download the free player from the App Store. After the player is downloaded, click the Start button. Unable to start because Java is not enabled in your browser. Either enable Java or try using a different browser. The current operating system is not supported.